DATE OF BIRTH: 5 March 1999, Stoke-on-Trent, Staffordshire. 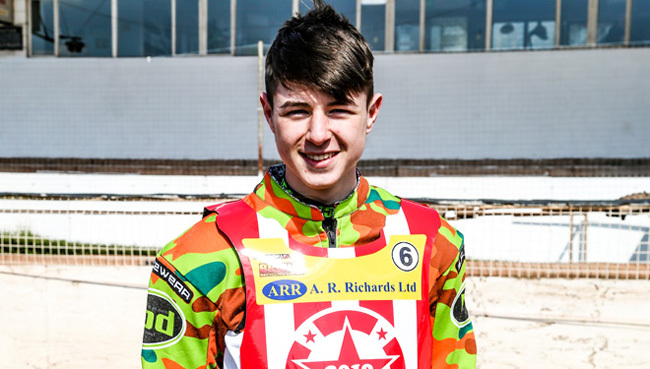 BRITISH CAREER: (2010) Scunthorpe II, Weymouth; (2011) Dudley, Isle of Wight; (2012) Rye House II; (2013) Stoke; (2014) Devon, Kent; (2015) Rye House II; (2016) Cradley; (2019) Glasgow, Stoke. 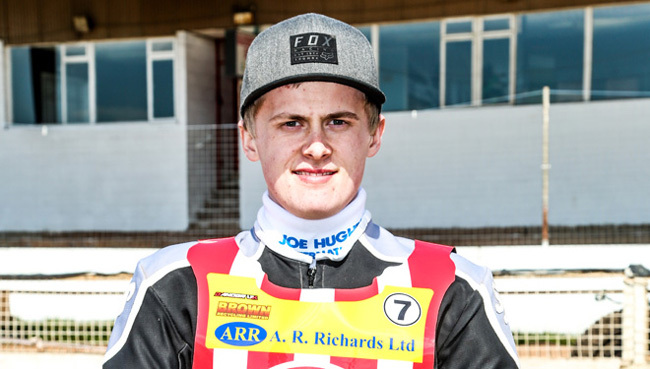 BRITISH CAREER: (2012) Rye House II; (2013) Kent; (2014-16) Mildenhall; (2017) Newcastle, Eastbourne, Isle of Wight; (2018) Buxton; (2019) Stoke. DATE OF BIRTH: 16 December 2002, Whitehaven, Cumbria. 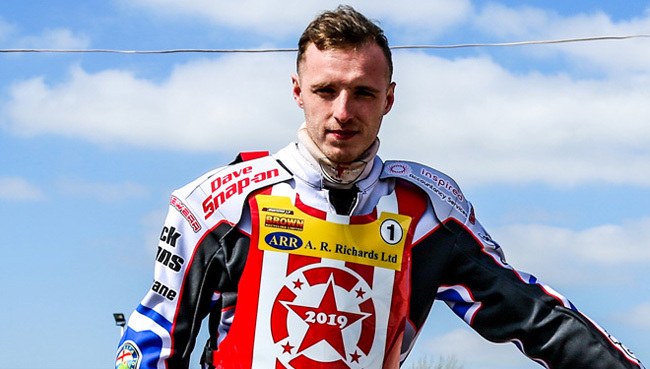 BRITISH CAREER: (2010-11) Dudley; (2012) Somerset, Dudley; (2013) Somerset, Isle of Wight; (2014) Leicester, Wolverhampton, Scunthorpe, Cradley; (2015) Birmingham; (2016) Berwick, Peterborough, Birmingham; (2017) Glasgow, Cradley; (2018) Belle Vue II; (2019) Stoke. DATE OF BIRTH: 18 June 1985, Birmingham, West Midlands. 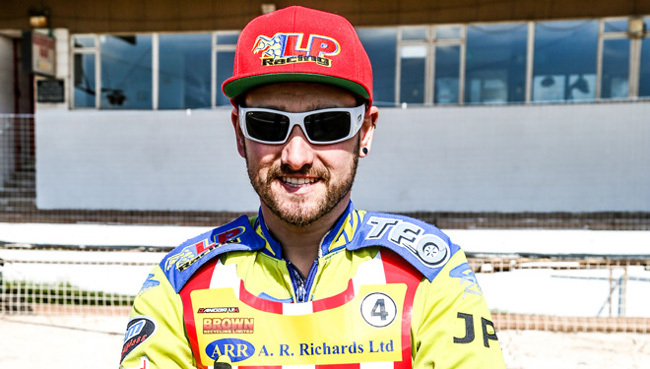 BRITISH CAREER: (2000) Ashfield, Owlerton; (2001) Sheffield II, Boston; (2002) Sheffield II; (2003) Sheffield II, Stoke II; (2004) Newport, Stoke II, Sheffield II; (2005) Stoke II; (2006) Stoke, Stoke II; (2007) Stoke II; (2008) Weymouth, Mildenhall; (2009) Bournemouth, Workington, Mildenhall; (2010) Newport II; (2011-12) Buxton; (2013) Stoke; (2015-16) Rye House II; (2017) Stoke; (2019) Stoke. NOTE: Priest also appeared for Mildenhall prior to joining Newport II in 2010, but this is not credited in his career record because the club closed down prematurely, with all their matches expunged from the records. 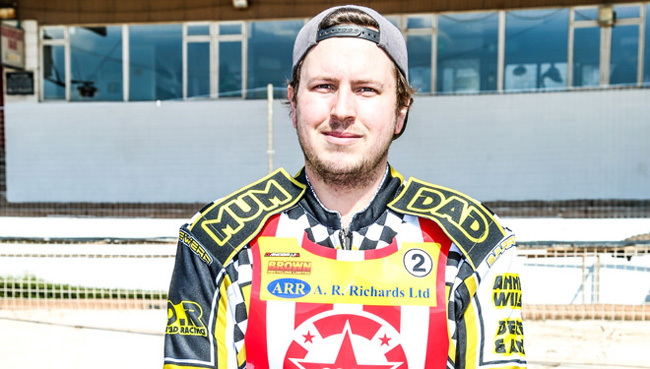 CLUB HONOURS: League Championship winner: 2000 [Owlerton], 2001 [Sheffield II]; 2008 [Weymouth]; Four-Team Championship winner: 2006 [Stoke II], 2016 [Rye House II]. 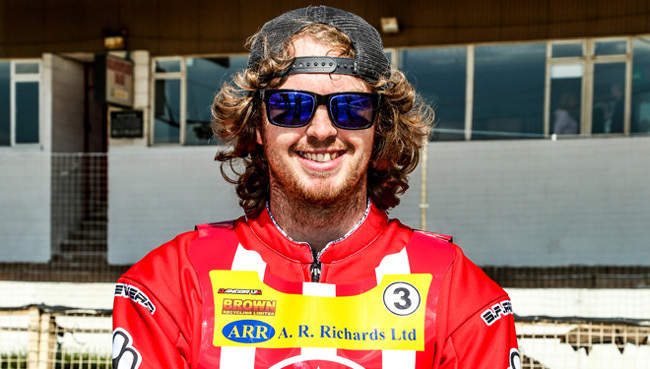 RIDER LINKS: Son of John Priest (born: 5 September 1952, Birmingham, West Midlands). 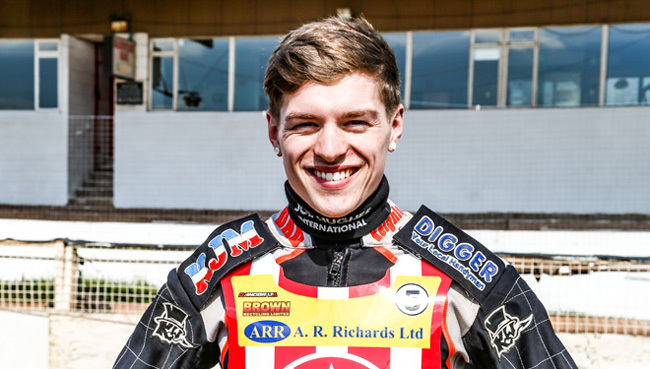 BRITISH CAREER: (2009) Newport II, Newport; (2016) Buxton; (2017) Buxton, Cradley; (2019) Stoke.